RHS was first described over 30 years ago in an affected mother, son and daughter with a combination of anhidrotic ED and CL/CP. 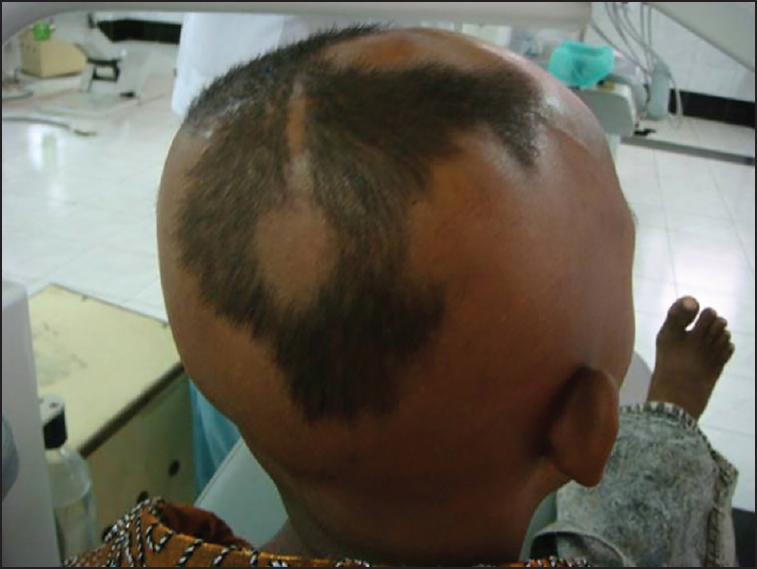 RHS is a rare autosomal dominant disorder with <80 cases reported in literature. 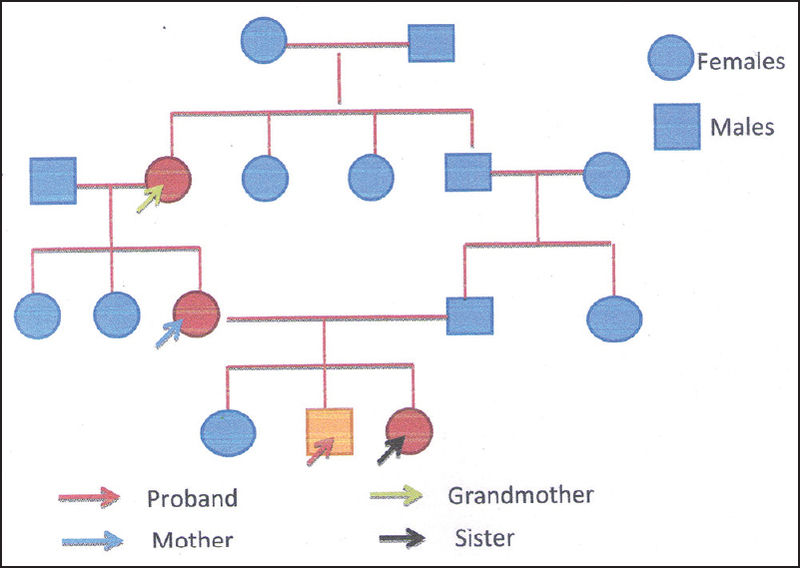 It is a discrete clinical entity with Online Mendelian Inheritance in Man number 129,400. The characteristic features of this syndrome, summarized by Witkop et al., are stiff, sparse hair with the appearance of steel wool, sparse eyebrows and lashes, CP, the absence of uvula and lacrimal punctae, hypodontia, hypoplastic enamel, epiphora, ectropion, photophobia, hypoplastic dermatoglyphics and a decreased number of sweat glands. The oral manifestations include small teeth with enamel defects, missing teeth, multiple caries, delayed eruption, tooth shape anomaly and reduced production of saliva. This manuscript presents the general features of RHS and its dental rehabilitation. An 11-year-old male patient reported to Sri Ramakrishna Dental College with dental pain. Born full-term after an uneventful pregnancy, he was the second of three children. Parents had consanguineous marriage. The child had dry scaly skin and baldness with patches of hair on the scalp [Figure 1]. 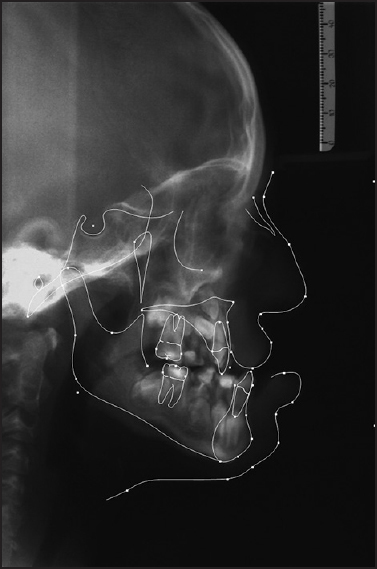 He had facial dysmorphism with widely set eyes, deformed nose, hypoplastic ears, pronounced midfacial hypoplasia and an open mouth posture [Figure 2]. The patient had CL/CP which was corrected surgically. 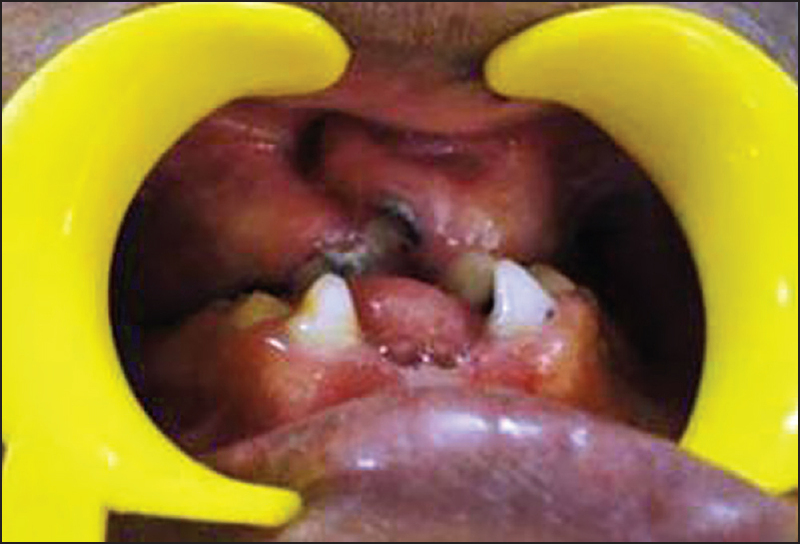 Oral examination revealed partial anodontia, hypoplastic teeth, delayed eruption and complete cross bite of maxillary teeth [Figure 3]. A positive family history was noted with maternal grandmother, mother and 2 siblings showing abnormalities of hair, teeth and skin. The pedigree of the patient is shown [Figure 4]. 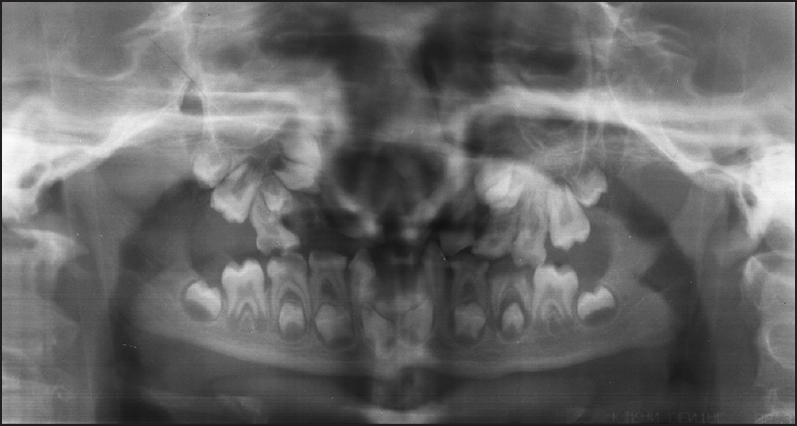 Panoramic radiograph showed congenitally missing permanent maxillary and mandibular incisors [Figure 5]. Cephalometric analysis suggested Class III relation with retrognathic maxilla and normal mandible [Figure 6]. A multidisciplinary approach was planned. Treatment started with oral hygiene instructions and diet counseling as the patient had widespread caries. Pit and fissure sealant (Clinpro sealant, 3M Espe, USA) was applied on the permanent maxillary right first molar. Root stumps and grossly decayed teeth were extracted. Glass ionomer cement restorations (GC Corporation, Tokyo, Japan) were done on both permanent maxillary and mandibular first molars. Endodontic treatment was done and stainless steel crowns (3M Espe, USA) were made on the primary maxillary right second molar and primary mandibular left second and right first and second molars. Prosthodontic management was planned after orthodontic consultation. Maxillary and mandibular impressions were made. 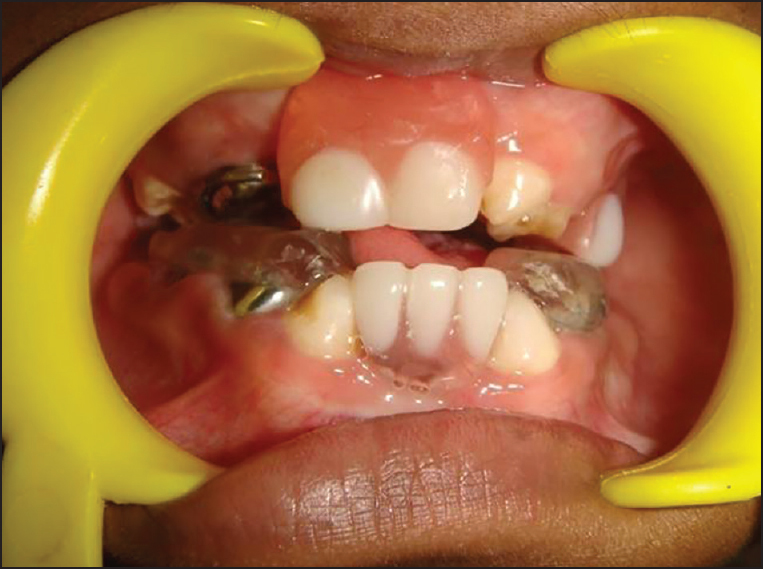 Removable prosthesis was fabricated for the upper arch and a splint was incorporated with the lower arch prosthesis [Figure 7] for restoring the vertical dimension and for relieving the pressure of the mandible on the maxilla. Orthopedic and orthodontic treatment would be planned after eruption of other permanent teeth followed by secondary bone grafting and fixed prosthesis. Dental and general findings similar to those in the literature were noted in our patient. Lateral cephalometric analysis showed midfacial hypoplasia to be a feature of RHS. This is a very important finding as the assessment of current and proposed orofacial development affects the dental treatment plan. Dental treatment poses a challenge in these patients. Pediatricians, surgeons, dermatologists, audiologists, dental specialists and ophthalmologists are needed to systematically and comprehensively plan the treatment. Psychological aspect plays a major role in managing children, more so in those with anomalies as it causes severe functional and esthetic problems. Initially, the child was shy and anxious. Effective communication helped in developing a rapport with him. Timely intervention minimized the adverse aesthetic and functional effects and transformed his personality. Removable prostheses are preferred over fixed prosthodontic approaches considering the continuing growth of jaws in children. Long-term follow-up is needed for modification or replacement of prosthesis. With the completion of orthodontic treatment and secondary bone grafting, implants or fixed prosthetic rehabilitation can be done. ED is a very large group of diseases, and we present an unusual case of ED with CL/CP. The focus of our treatment was to restore the function and esthetics. However, this should not underestimate the importance of prevention. Age and psychological aspect governed our treatment. Shah KN. Available from: http://www.chop.edu/doctors/shah_kara_n.htm. Thurnam J. Two cases in which the skin, hair and teeth were imperfectly developed. Proc R Med Chir Soc Lond 1848;31:71-81. Weech AA. Hereditary ectodermal dysplasia. Am J Dis Child 1929;37:766. Rapp RS, Hodgkin WE. 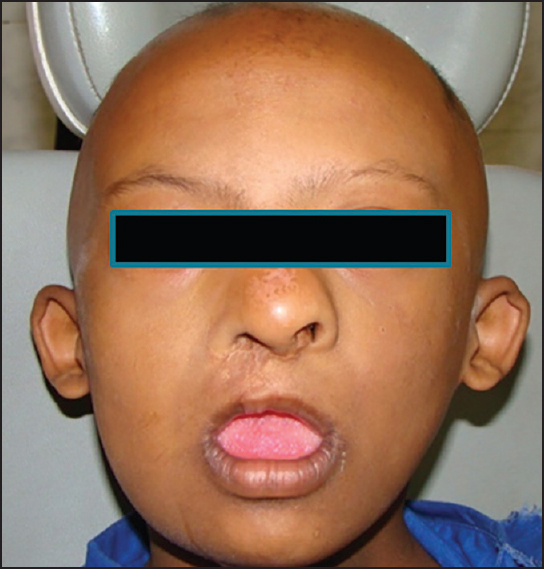 Anhidrotic ectodermal dysplasia: autosomal dominant inheritance with palate and lip anomalies. J Med Genet 1968;5:269-72. Kantaputra PN, Hamada T, Kumchai T, McGrath JA. Heterozygous mutation in the SAM domain of p63 underlies Rapp-Hodgkin ectodermal dysplasia. J Dent Res 2003;82:433-7. Witkop CJ Jr, Brearley LJ, Gentry WC Jr. Hypoplastic enamel, onycholysis, and hypohidrosis inherited as an autosomal dominant trait. A review of ectodermal dysplasia syndromes. Oral Surg Oral Med Oral Pathol 1975;39:71-86. Maruyama T, Toyoda M, Kanei A, Morohashi M. Pathogenesis in pili torti: Morphological study. J Dermatol Sci 1994;7 Supplement 1:S5-12. Mallory SB, Miller CI, Hashimoto K, Shwayder T, El-Hoshy K, Horton S, et al. What is this syndrome? Ectrodactyly, ectodermal dysplasia and cleft palate (EEC) syndrome. Pediatr Dermatol 1997;14:239. Hay RJ, Wells RS. The syndrome of ankyloblepharon, ectodermal defects and cleft lip and palate: An autosomal dominant condition. Br J Dermatol 1976;94:277-89. Hart TC, Kyrkanides S. Cephalometric analysis of Rapp-Hodgkin syndrome. J Med Genet 1994;31:758-60.